Casco Bay Medical is a private psychiatric and mind-body practice located in Danvers Massachusetts and Portland Maine, specializing in addiction medicine, anxiety, depression, obsessive-compulsive disorder, attention deficit hyperactivity disorder, and post-traumatic stress disorder. Their doctors and therapists provide confidential, individualized, holistic care. 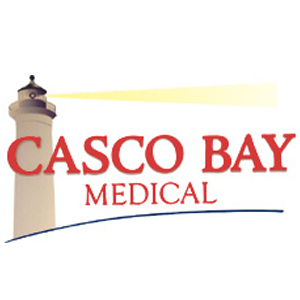 At Casco Bay Medical, you can improve your life with a combination of treatments, all under one roof. Nationally recognized psychiatrist, award winning author, and founder and medical director of Casco Bay Medical, Dr. Jeremy Spiegel treats opiate addiction and performs medical marijuana evaluations. In their Maine and Massachusetts offices Casco Bay Medical provides evaluations and recommendations for medical marijuana. Dr. Jeremy Spiegel is a prominent and tireless advocate for the use of cannabis as medicine and will treat you with respect and compassion should you choose this option for your medical condition. I met Dr. Spiegel and his staff and immediately felt understood and welcome. No judgement.